Fake stories have been passed off as news for a long time. Since the turn of the millennium, fake news has been evolving at an alarming pace. Aside from disconnecting and finding a wireless cave to live in, there’s probably no way to avoid fake news completely. However, it is possible to avoid being fooled by fake news. Fake News 101 will help readers to recognize various types of fake news including satire, alternative facts, propaganda, and more. 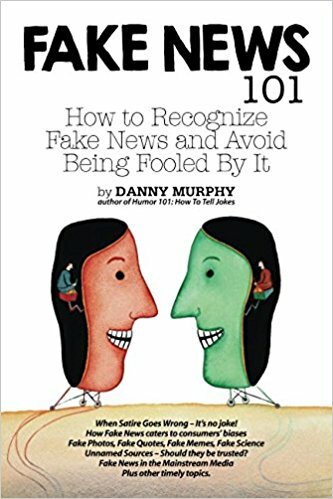 If you’re ready to join the battle against fake news and become a Fake News Warrior, Fake News 101 will be an indispensable resource. Now available in paperback and on Kindle from Amazon. 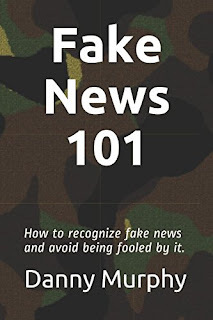 Check out the Fake News 101 Blog. Danny Murphy is an informative and entertaining public speaker. He is available to speak on topics related to Fake News at conferences, seminars, and other events. Send him an email to check into his availability.